Coal burned in domestic stoves in the villages and suburban areas of China accounts for a small part of total coal consumption, but the amount of corresponding pollutant emission is very large due to the lack of effective control measures, hence becoming to be one of the important causes for severe dust-haze weather in China. Decoupling combustion (DC) technology was invented by Institute of Process Engineering (IPE), Chinese Academy of Sciences (CAS). Breaking the traditional concept that pollutant emission could not meet the requirement of environmental protection unless additional measures were adopted for desulfurization, denitrification and dust removal of flue gas when burning bituminous coal in domestic stoves, the DC stoves provide an effective way to solve the problem of coal-burning pollution in rural and suburban areas. The energy-saving and environment-friendly DC stoves are thought by experts to be suitable for burning the briquette from bituminous coal with low air pollution and high thermal performance. By utilizing low nitrogen combustion under low temperature and reduction atmosphere as well as after-combustion of char and pyrolysis gas under high temperature and oxidation atmosphere, the so-called air-staged combustion in a domestic DC stove is realized to reduce the emissions of nitrogen oxides (NOx), carbon monoxide (CO) and soot significantly. Further using the briquette from bituminous coal with desulfurization additives as the fuel for DC stoves, multiple pollutants including particulate matter (PM), NOx, CO and sulfur dioxide (SO2), etc. can be controlled simultaneously. Compared with traditional coal-fired stoves, NOx emission is reduced by 30%-45%, and energy-saving of 20%-30% can be achieved in the DC stoves. 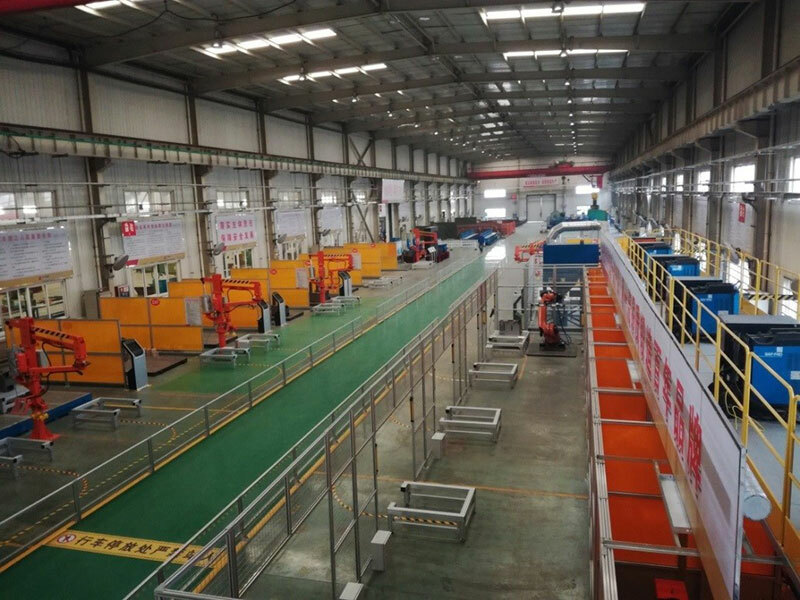 A large-scale automatic production line for DC stoves has been built in Yankuang Group Co. Ltd. A series of DC stoves of various thermal capacities for only heating or simultaneous heating and cooking have also been produced in the factory and used in the more than 150 demonstration villages in the city of Zoucheng in Shandong, which receives the honor from the users and deserves to be extended further in the rural and suburban areas of China. Decoupling combustion (DC) technology was invented by Institute of Process Engineering (IPE), Chinese Academy of Sciences (CAS). The energy-saving and environment-friendly DC stoves are thought by experts to be suitable for burning the briquette from bituminous coal with low air pollution and high thermal performance, which provide an effective way to solve the problem of coal-burning pollution in rural and suburban areas of China.